Honolulu has continued to show robust home sales in recent months and homebuyers searching for high-cost loans now have more options. 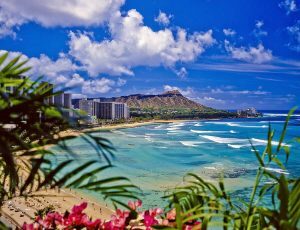 Mortgage programs have continued to expand allowing for more Honolulu low down payment Jumbo loans, which is great for buyers that exceed the base conforming loan limits. Current conventional loan limits in Honolulu County and all counties in Hawaii are set to $726,525. This applies to standard 1 unit properties. Any mortgage amount that exceeds this would be considered a Jumbo loan. In the past, many lenders and banks would require 20% down payment to approve any Jumbo loan. Today many reduced down payment options have emerged that permit financing up to 95%. The best part is these programs do not require the mortgage insurance cost or “PMI” that is often required when financing above 80% loan to value. Below we will discuss the basic Jumbo qualifying and down payment standards on the most popular 5% and 10% down options. Please contact us today to learn more. The requirements below apply to only full-time primary homes and vacation homes. By and large, a Jumbo mortgage has pretty much the same overall qualifying criteria as a typical conventional or FHA loan. All the programs will require full income and asset documentation from the applicant. Lenders will take a look at the overall credit score, the size of the initial down payment(the amount to be paid upfront) the total monthly debt-related obligations that are relative to the overall income, as well as any residual amount left over with the applicant after closing. 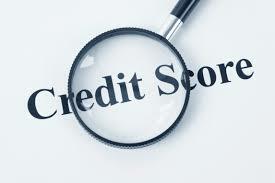 Credit score requirements are usually about the same for either conforming loans or jumbo mortgages. A top tier credit score of 740 or higher, is deemed ideal for acquiring a jumbo mortgage. However, even a 680 score can be approved assuming the home buyer does not have previous serious financial hardships. 95% Financing: Applicants should have a min 700 credit score to be eligible. 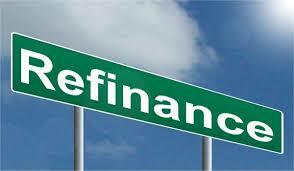 90% Financing: Applicants should have a min 680 credit score when the loan amount exceeds 2mil. Under 2mil, credit scores down to 660 can be approved with exceptions. Financing options up to $11m available for greater down payments, please contact us. All common adjustable rate terms – 3 year ARM, 5, 7, 10 year, etc. No early payoff penalties or private mortgage insurance required. Single Family homes, select multi-unit homes, townhomes and most condominiums. All Jumbo loans will require some post-closing “reserves” or liquidity requirements depending on the loan amount, down payment, credit, etc. Reserves are the amount of liquid or nonliquid mortgage payment savings you have left after closing. Let’s say your mortgage payment is $6,000 per month and the program requires 9 months of reserves. In this example, the applicant should have $54,000 in savings or requirements funds remaining after closing. Most loan amount under 1.5mil will require 3-6 months reserves. The higher loan amounts will require obviously require a greater amount, sometimes over 12 months. Again, these requirements are largely dependent on a wide array of factors, just not the final credit rating but also the total amount of the down payment as well as the DTI. 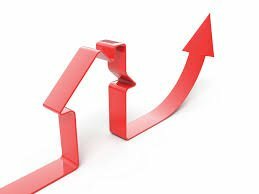 Here a simple rule of thumb is that if the debt to income ratio is low while the corresponding down payment is high, then the odds of an application being processed successfully are greater. All the information listed above also applies to regular jumbo rate term refinance transactions. Homeowners that want to switch their current ARM to a secure fix rate loan, or homeowners that need to refinance due to a divorce situation. Additionally, cash out refinance programs are available but generally limited to 80-90% loan to value. Please read all the Jumbo refinance here. Please contact us 7 days a week by calling the number above of just submit the Quick Contact Form found on this page.